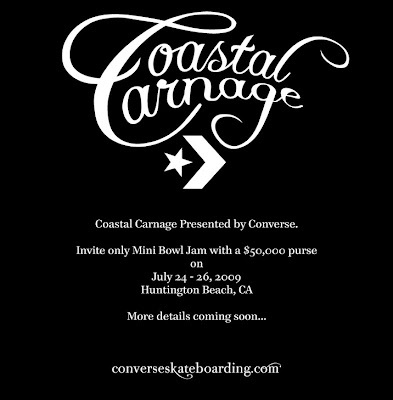 Converse is bringing some Carnage to the Coast. 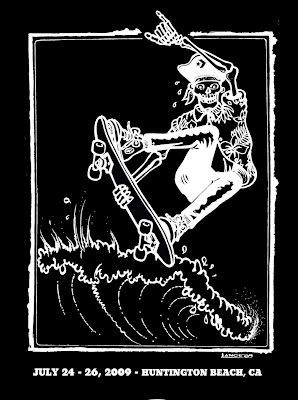 It was recently announced that Converse will be hosting an invitation only event in Huntington Beach, CA. As you can see from the information below the event will take place from July 24-26. The combined purse will be 50,000 bucks. If you're in the area come on out to experience the Carnage first hand. SPoTlight Skateboarding has a run down on all of the invites so you can see who will be participating in the Carnage. (Every time I type Carnage I want to say it three times out loud like a monster truck commercial, Carnage, CARnage, CARNAGE!!!!). Big thanks to Transworld Skateboarding the images above. Hopefully I can get some more information about this to pass on to all of you. Hope everyone enjoyed the 4th of July Holiday. Depending on how you look at things the 2nd of July could have been the actually holiday to celebrate our Independence. Still others may hold out to November 19, shout out to all of the Matthew Thornton fans out there, or sometime in January for all of you Thomas McKean-amaniacs.